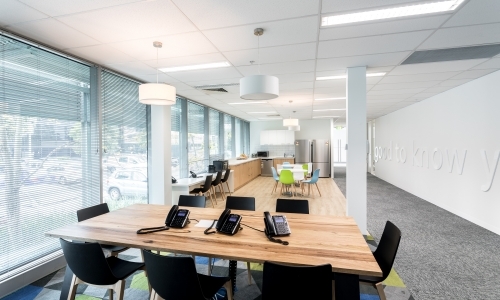 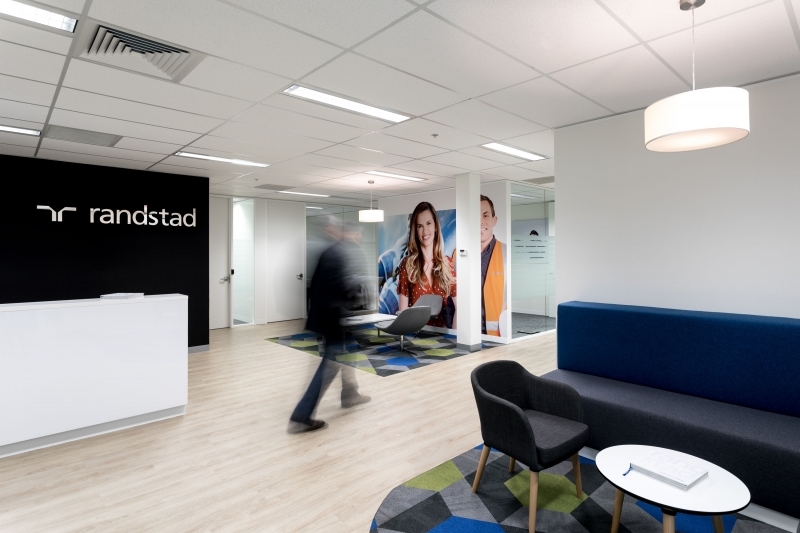 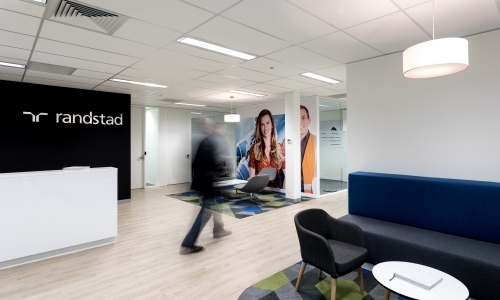 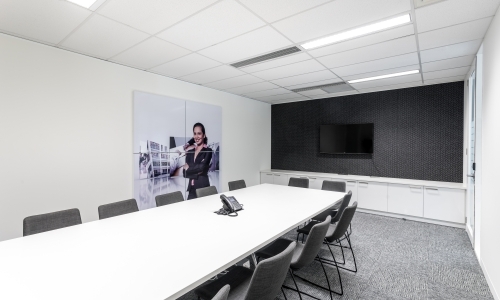 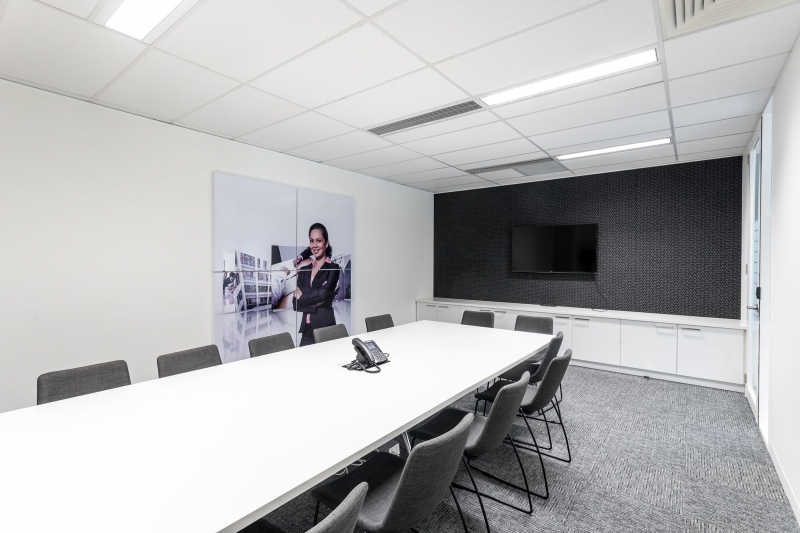 Randstad, a leading global HR and Recruitment firm, were looking for an alternative design approach to the standard corporate office fitout. 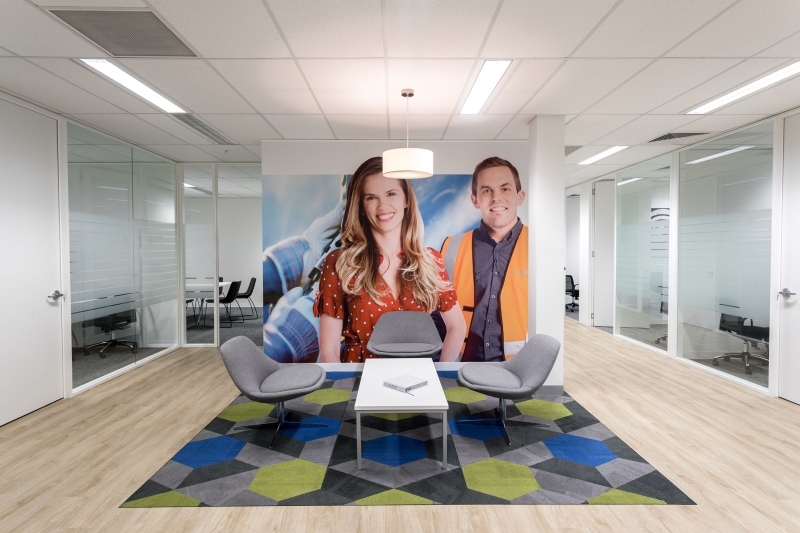 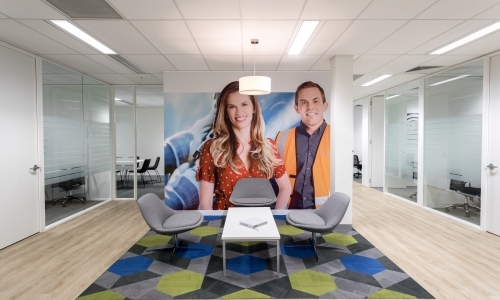 The expansive space of their new Mulgrave office encompasses a reception and two waiting areas, with block bold banquette joinery seating, a hexagonal and trapezoid carpet design designating the two areas, and a bold branded feature wall. 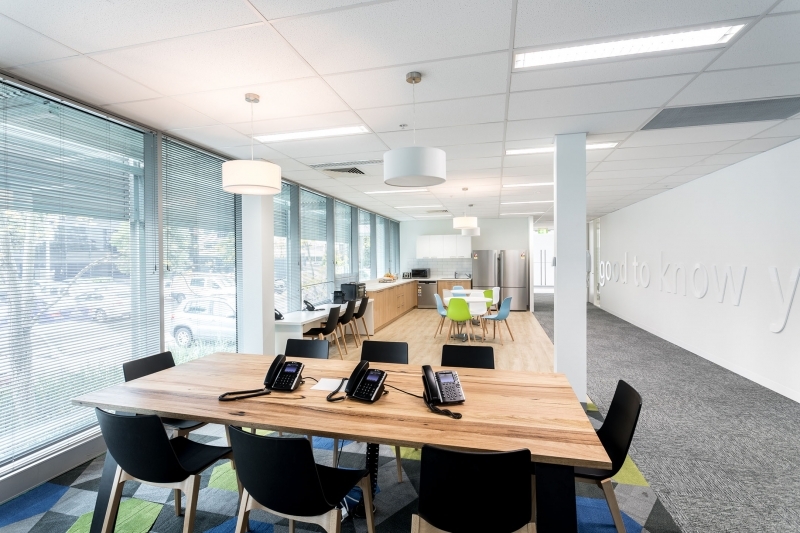 Interview, meeting rooms and workstations were finished and furnished in more neutral tones and green plant screens, with sublime teak and white kitchen joinery and feature lighting throughout give a stylish and professional final touch.